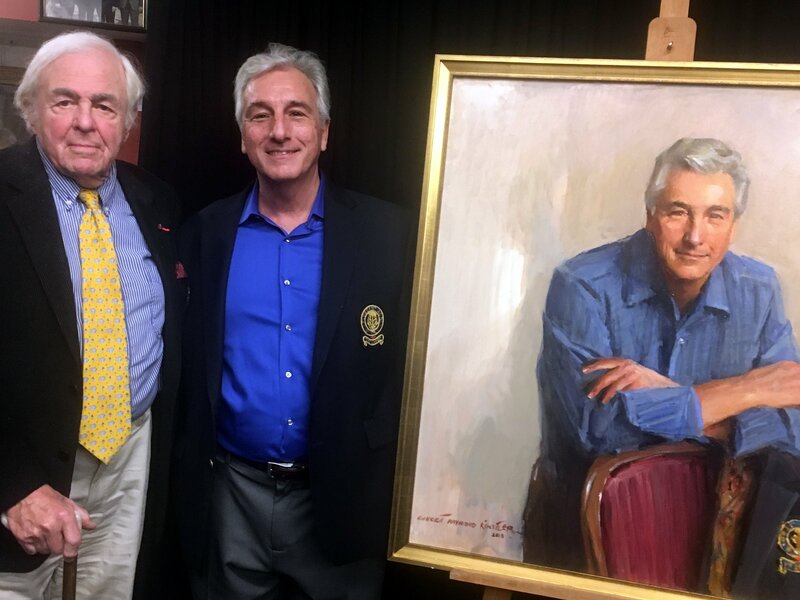 Shepherd's Portrait Unveiling | The Lambs, Inc.
Oct 12, 2018 – The Lambs followed one of its traditions of the past 144+ years: the unveiling of the Shepherd’s portrait. 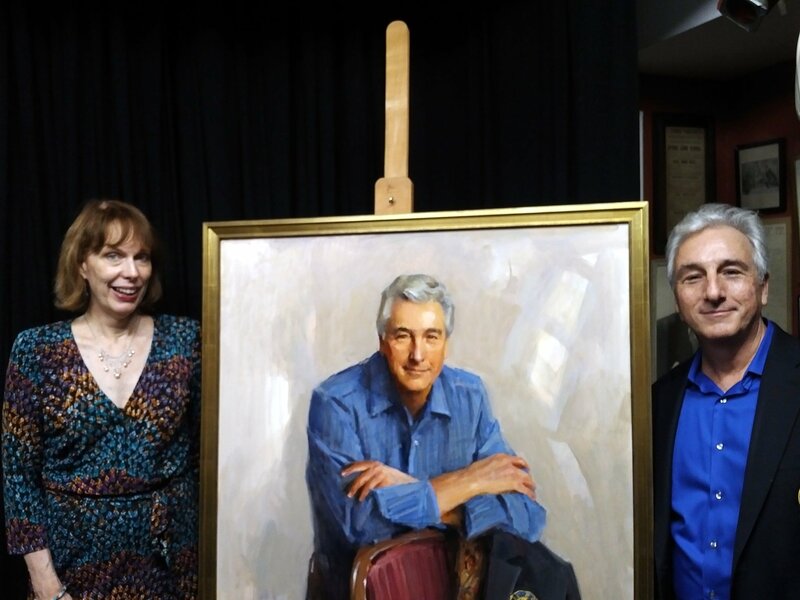 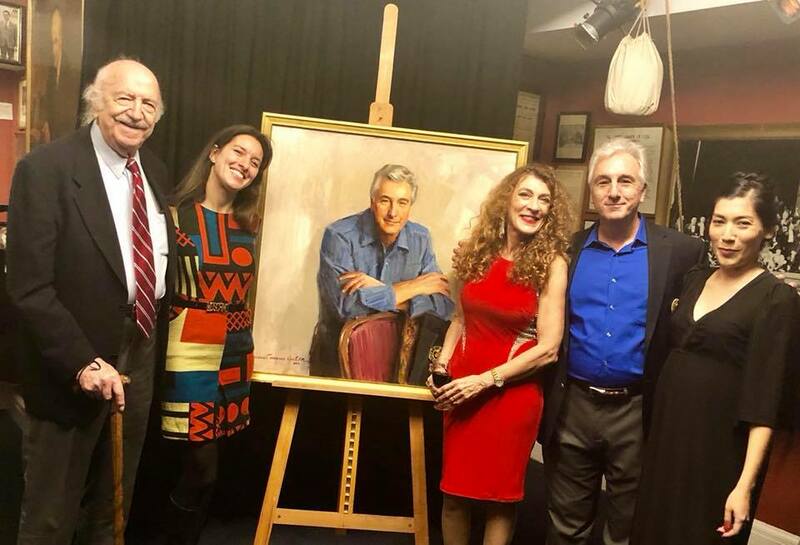 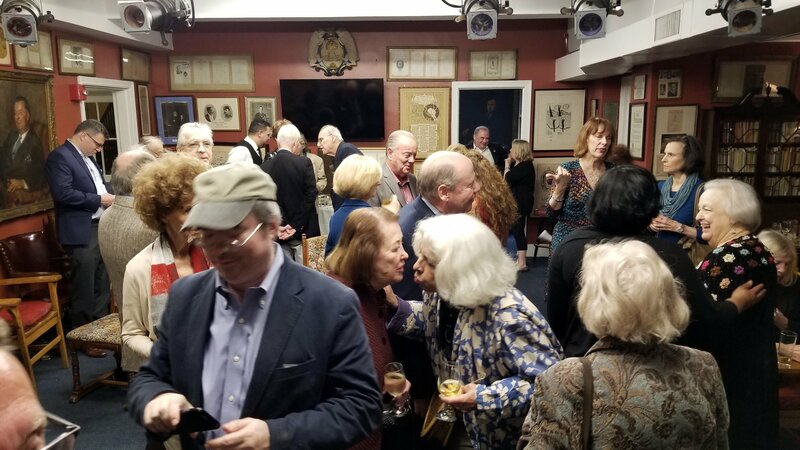 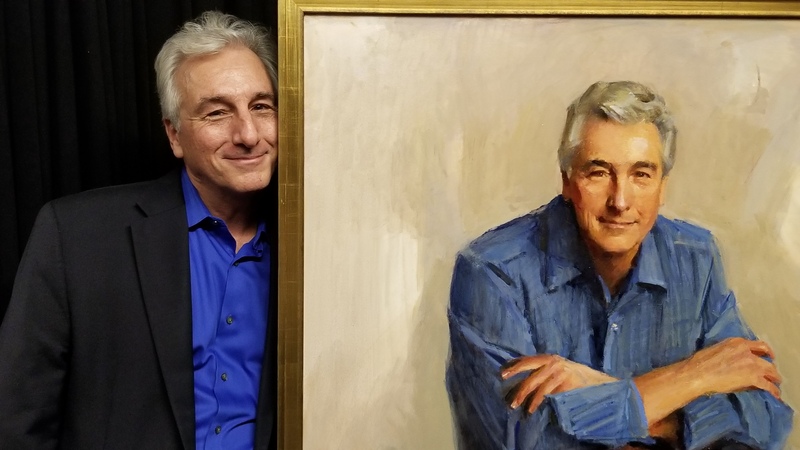 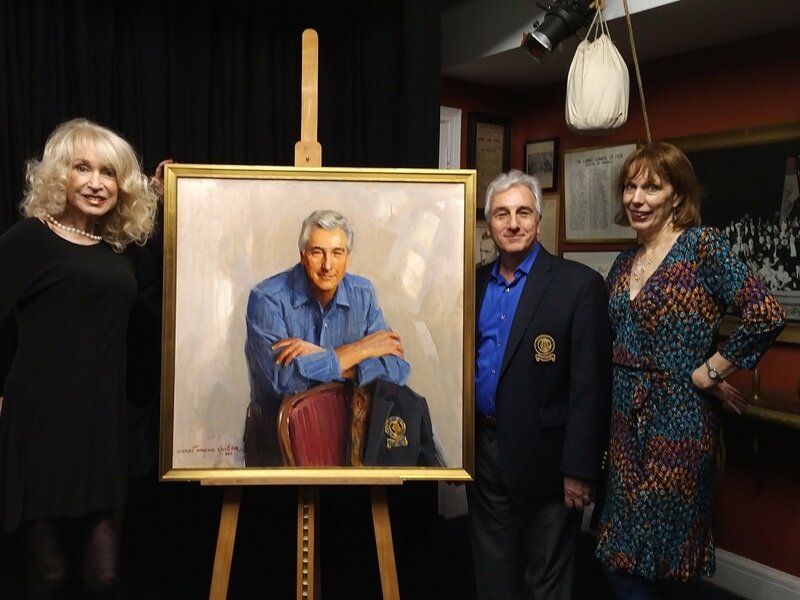 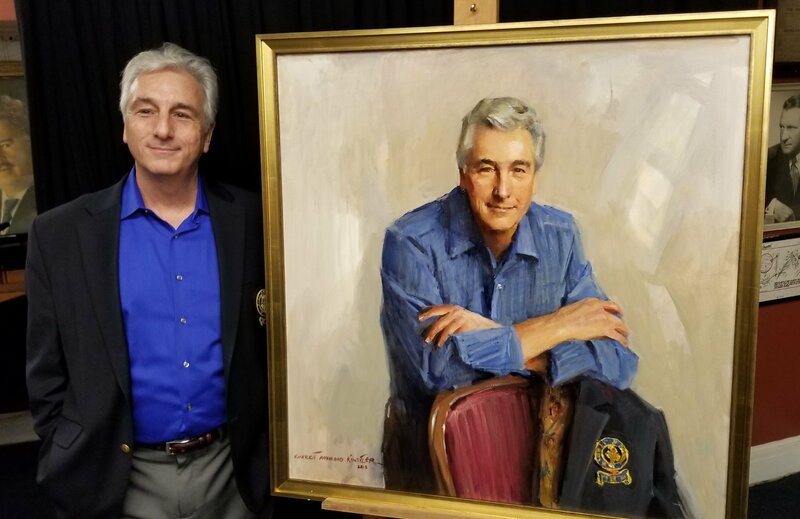 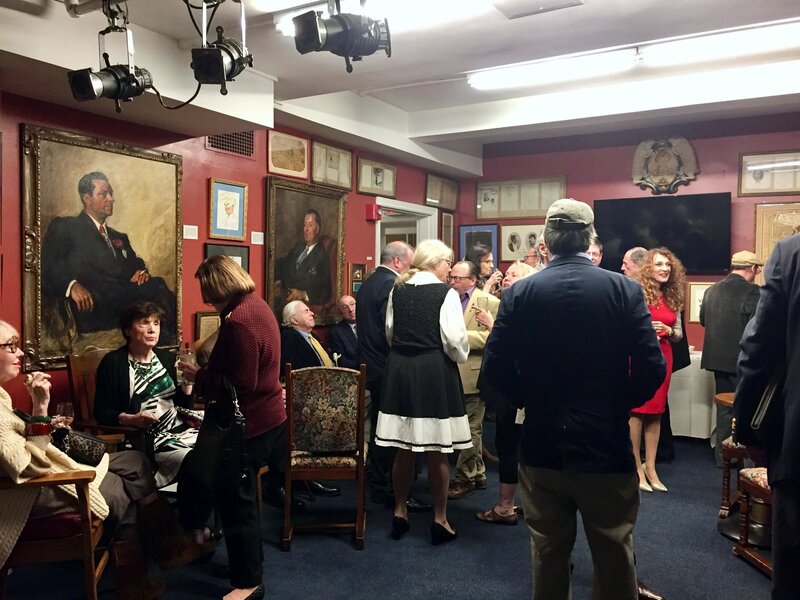 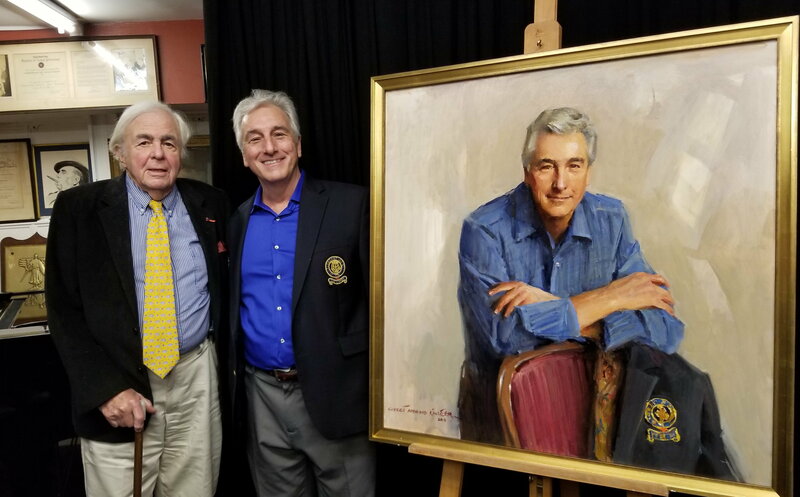 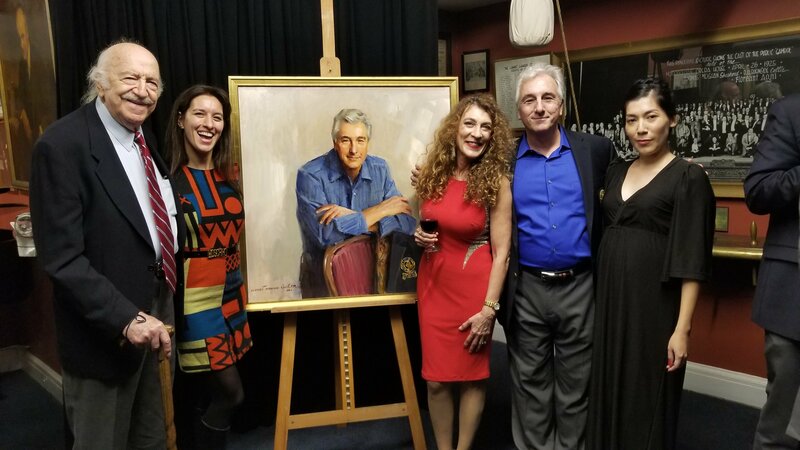 Members gathered for a party in our 5th floor quarters to witness the unveiling of Shepherd’s Marc Baron’s portrait, created by Lamb Everett Raymond Kinstler. 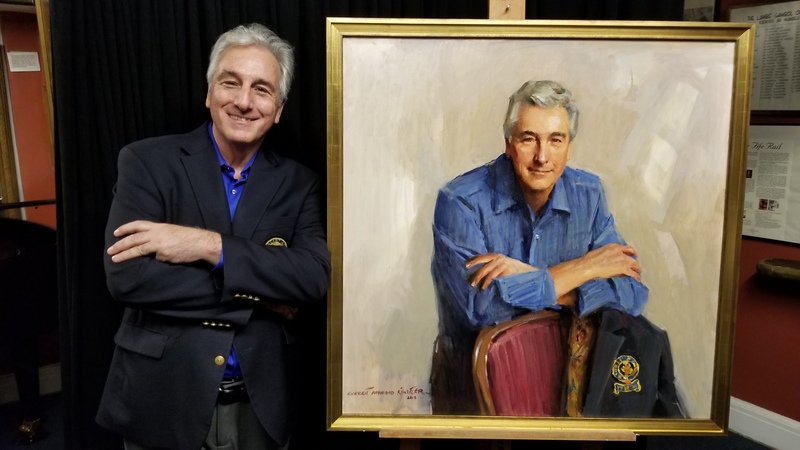 Marc Baron has served the membership for over 36 years. 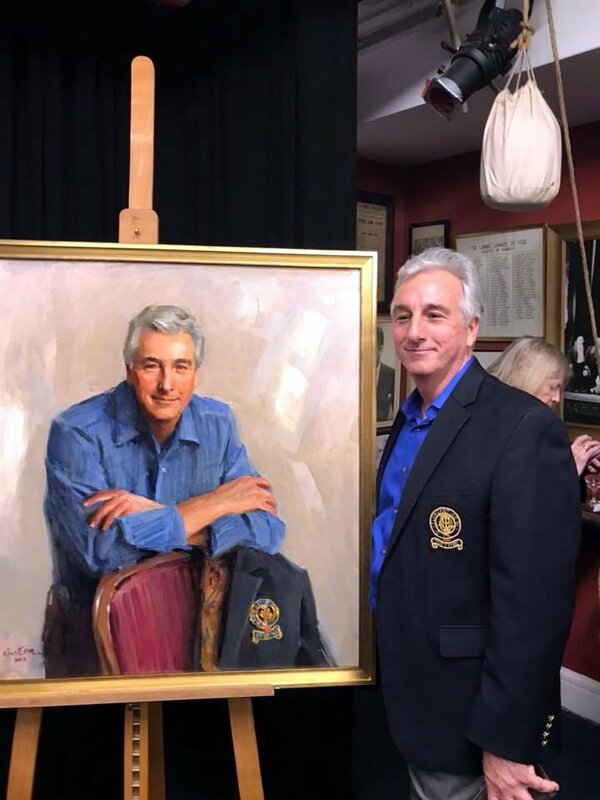 As a member of Council (more than 25 years), as entertainment co-chair, then elected as Recording Secretary, Corresponding Secretary, two-time Boy (VP), and now as a two-term Shepherd, our 35th. 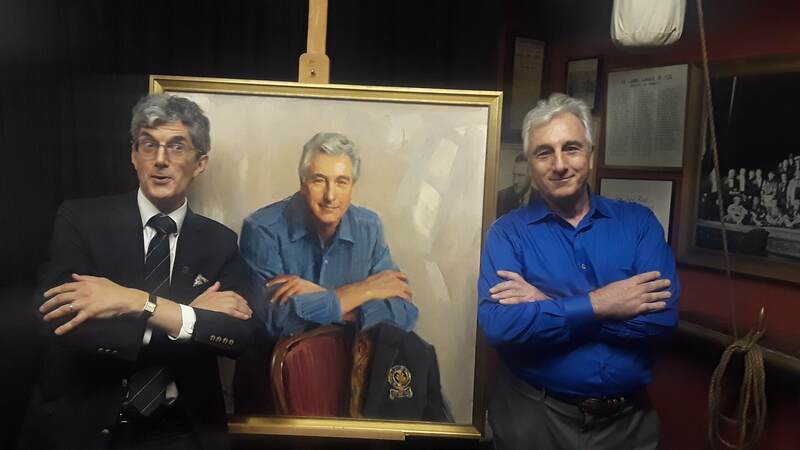 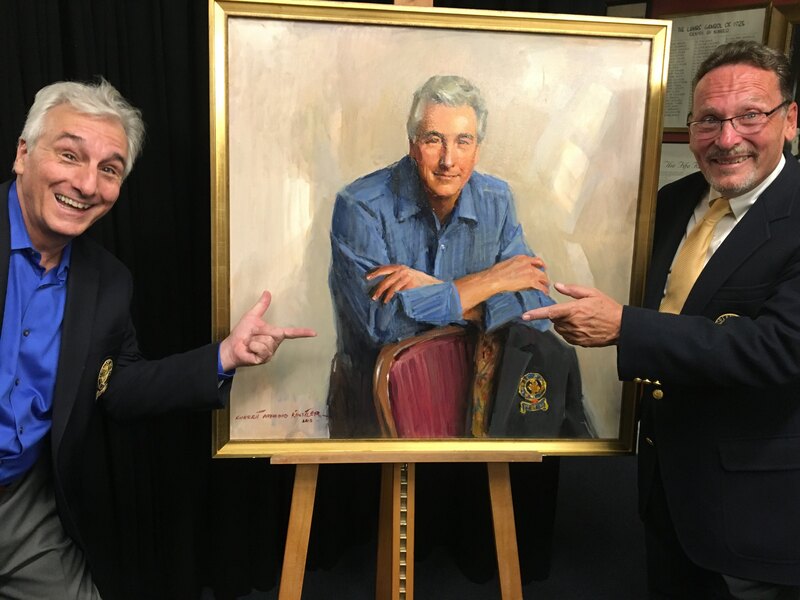 Ray Kinstler (pictured here), a Lamb for over 20 years, has painted Shepherd A. J. Pocock’s portrait, which hangs in our pool room. 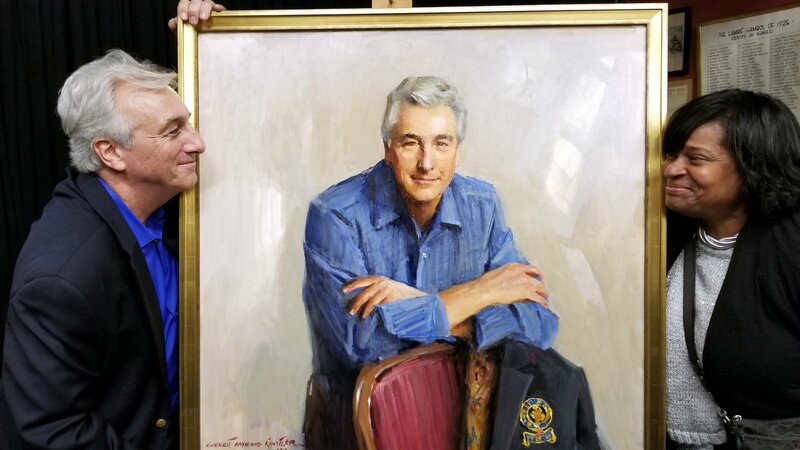 Eight US Presidents have posed for Ray Kinstler: Richard M. Nixon, Gerald R. Ford, Jimmy Carter, Ronald Reagan, George H. W. Bush, Bill Clinton, George W. Bush and Donald J. Trump. 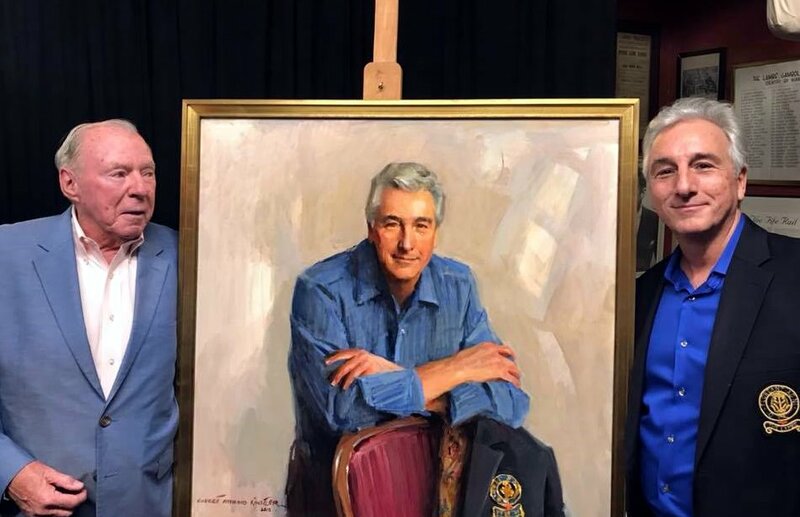 His portraits of Ford and Reagan are the official White House portraits. 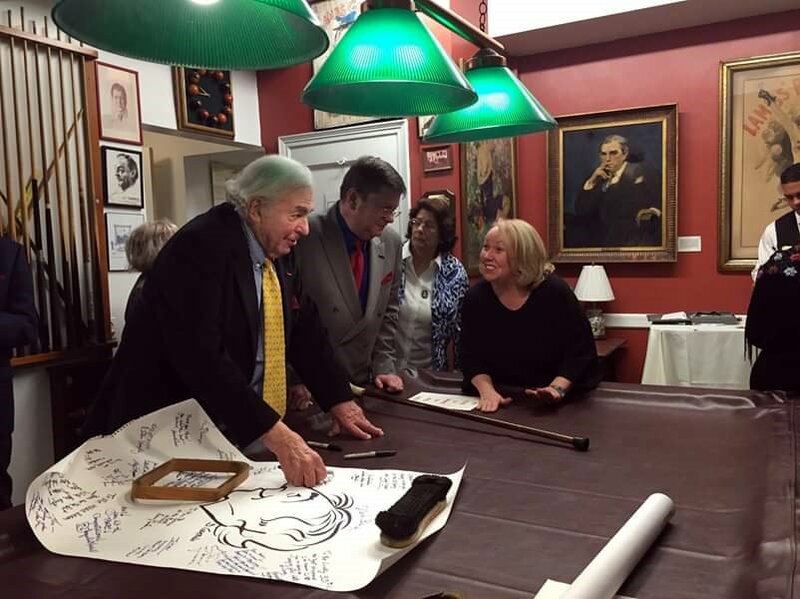 Ray is represented in museums including the Metropolitan Museum of Art, Brooklyn Museum, Museum of the City of New York. 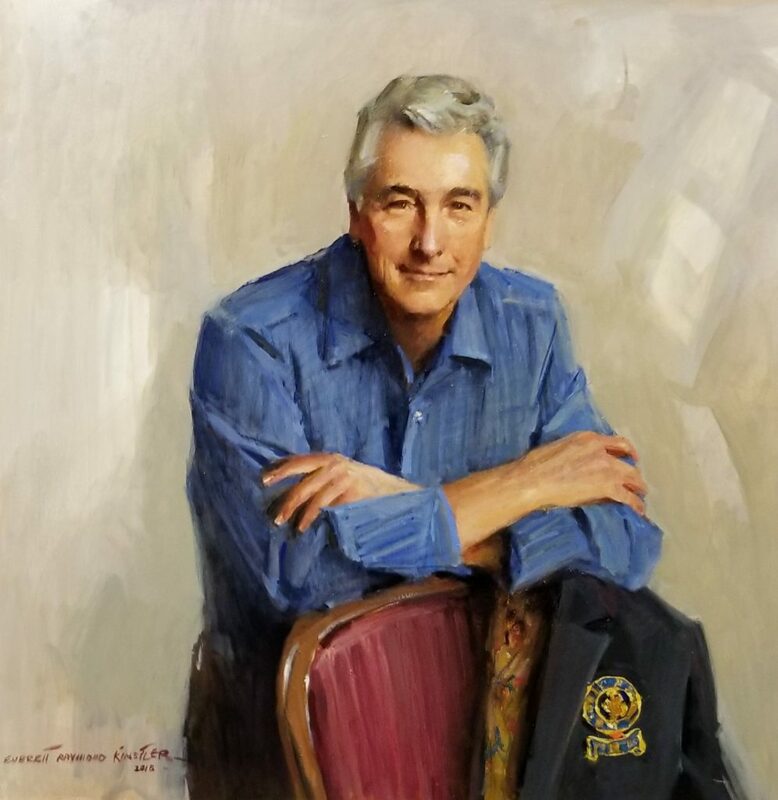 The National Portrait Gallery of the Smithsonian owns more than 100 Kinstler originals, and in 1989 awarded him the Copley Medal, it’s highest honor. 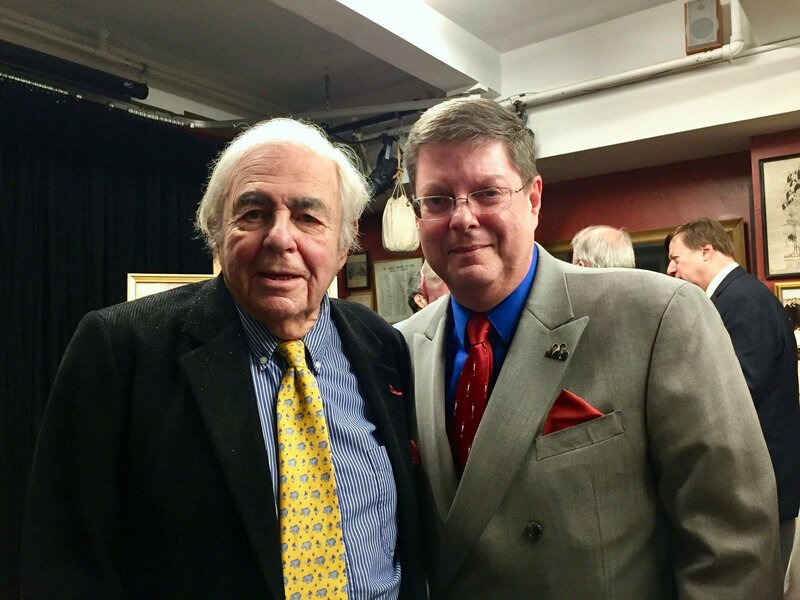 Read more about Ray HERE. 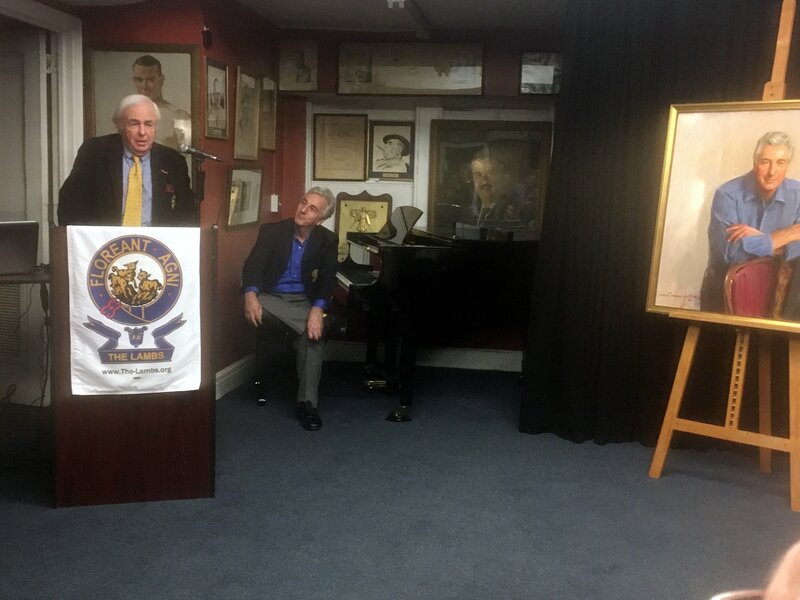 The evening began with a showing of a PBS video about Ray, followed by a few words by the artist (see HERE). 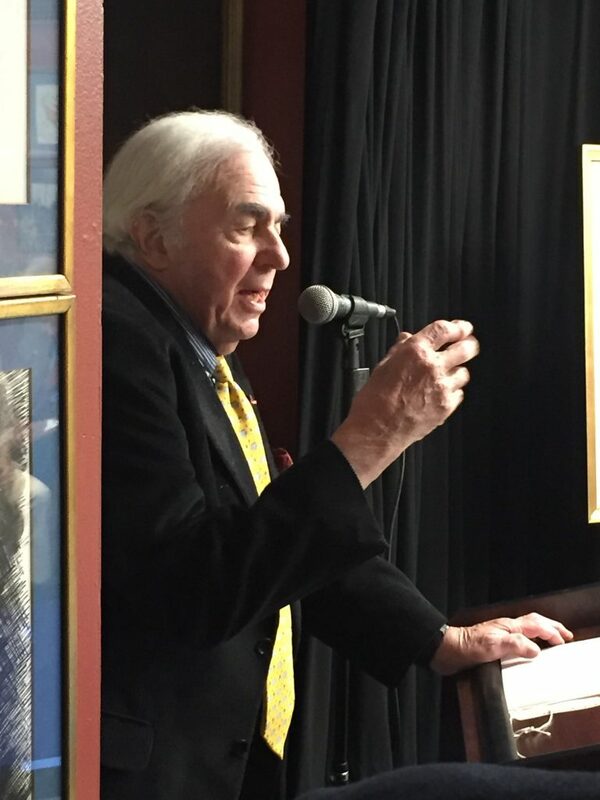 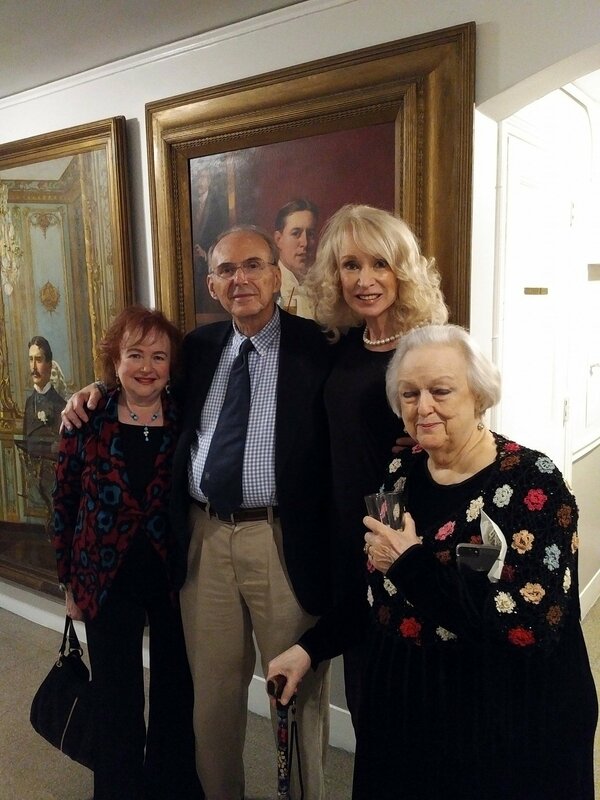 The evening was Collied by Peter Kingsley, Boy, who talked about the tradition and meaning of portraits. 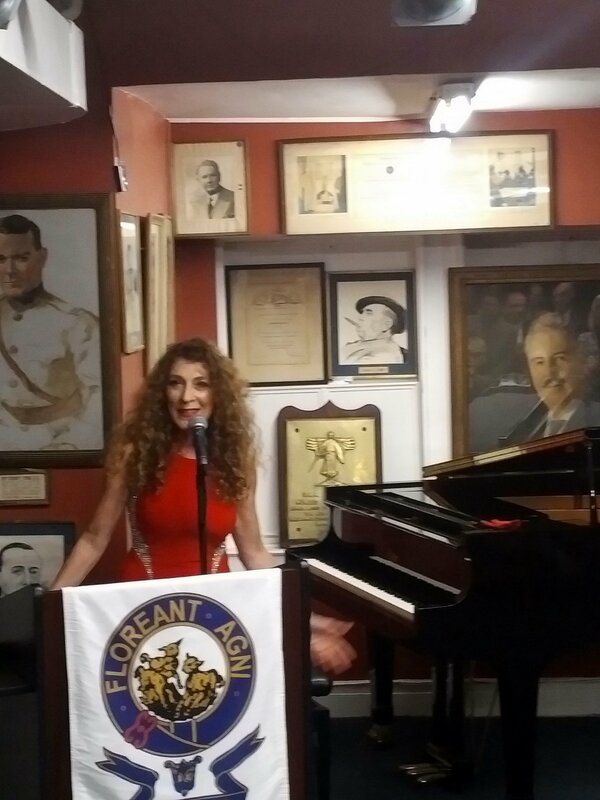 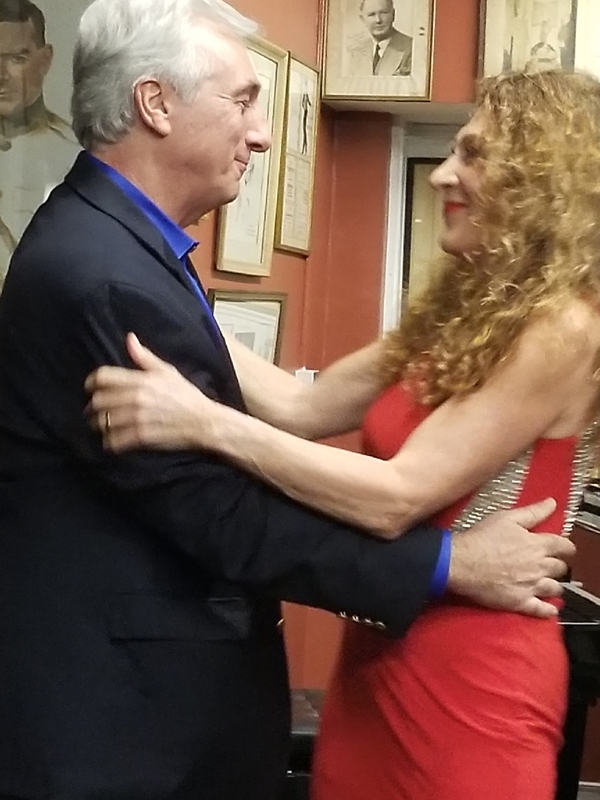 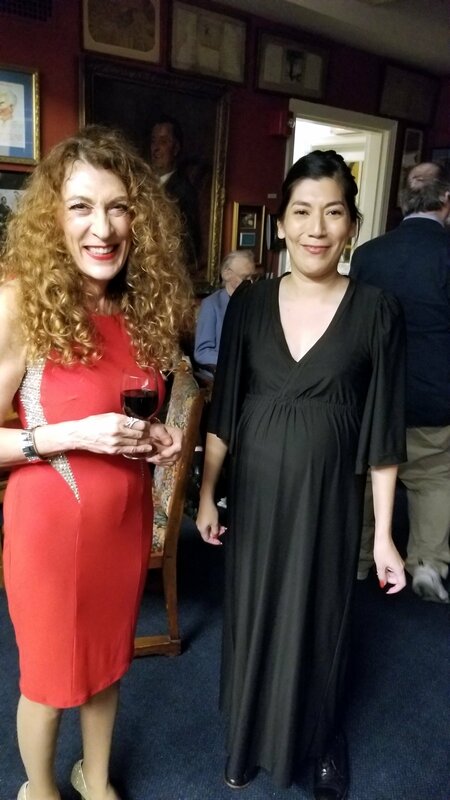 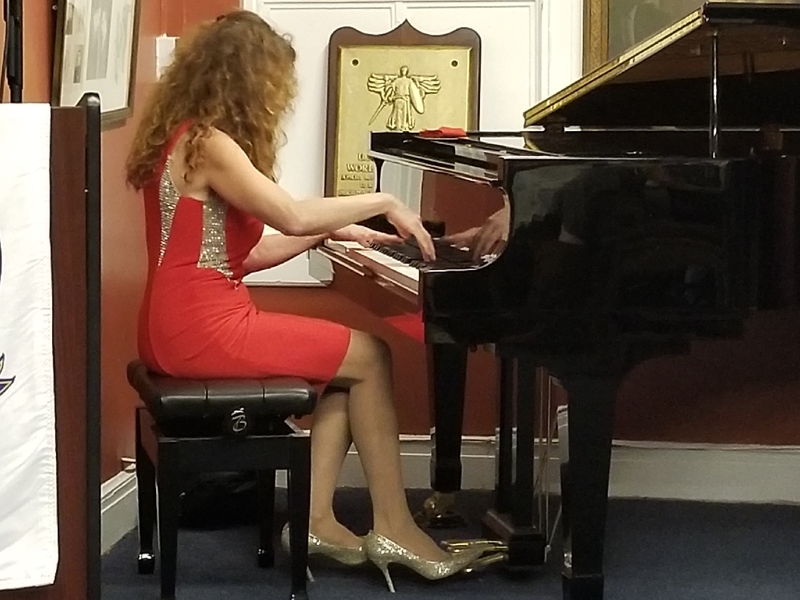 Lamb Rosa Antonelli, a Steinway artist who has performed in major halls around the world – including Carnegie Hall – performed a Chopin nocturne. 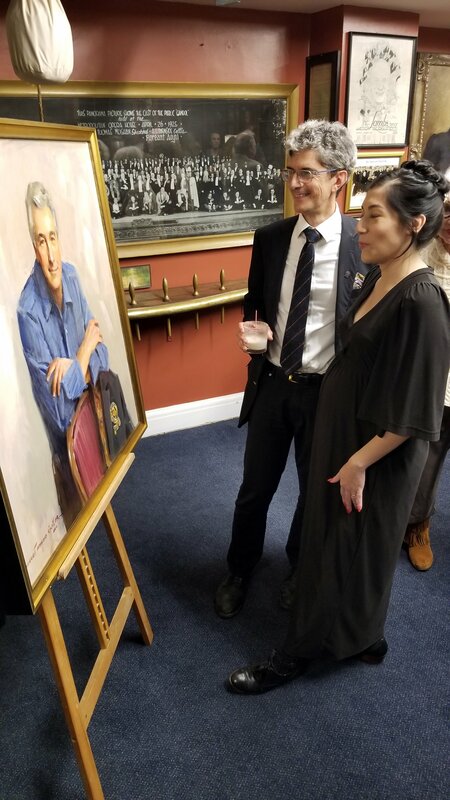 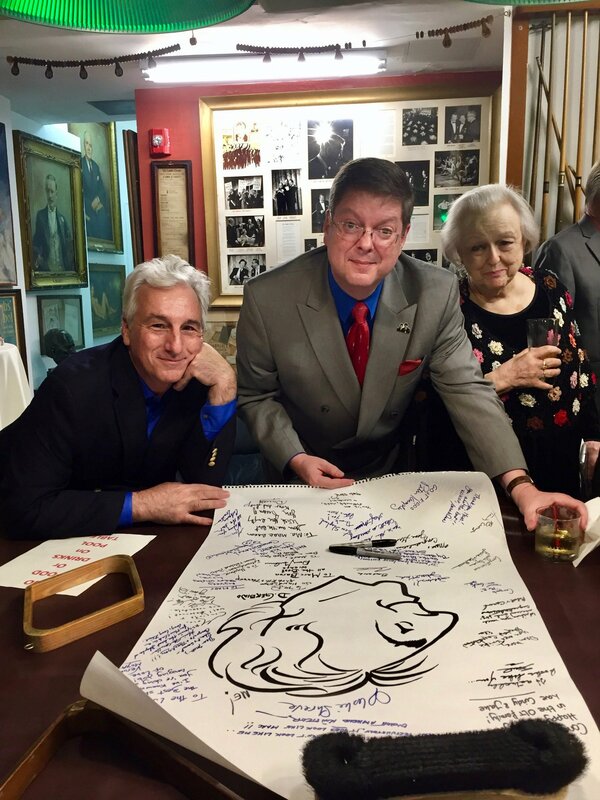 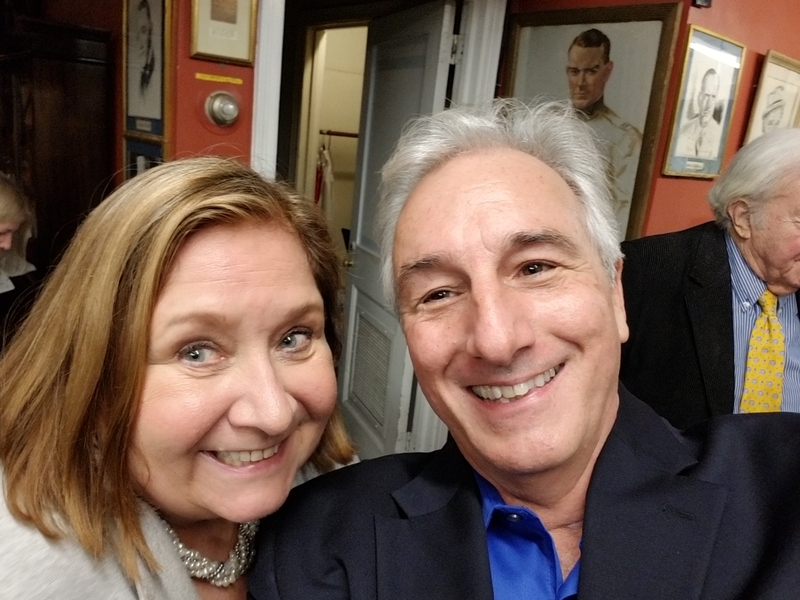 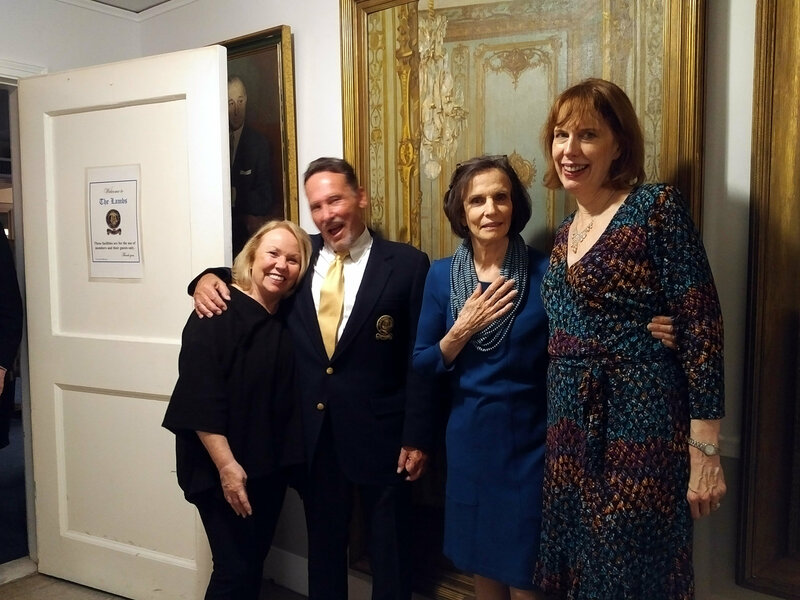 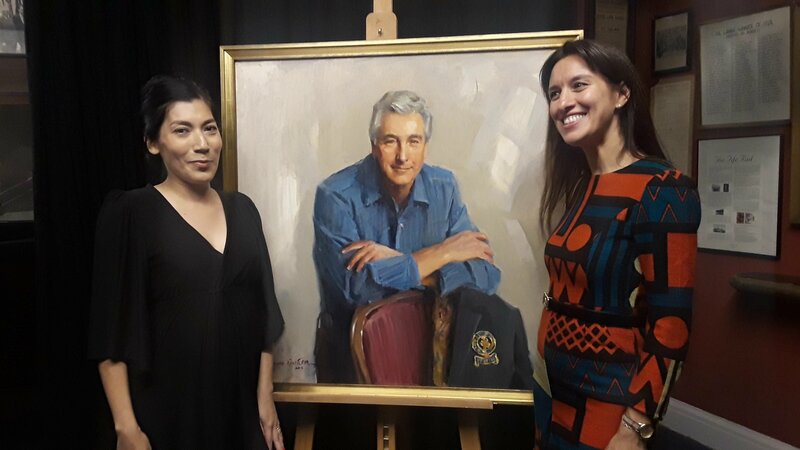 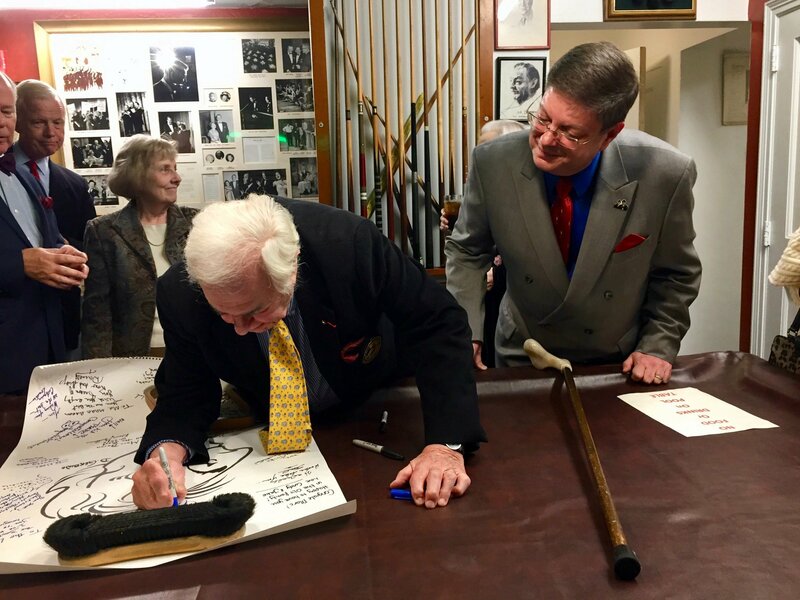 Once the portrait was unveiled, Paul Chamlin played party music as members gathered around our baby grand and joined in song, as other members took photographs of and with the portrait, while others enjoyed ample food and drink. 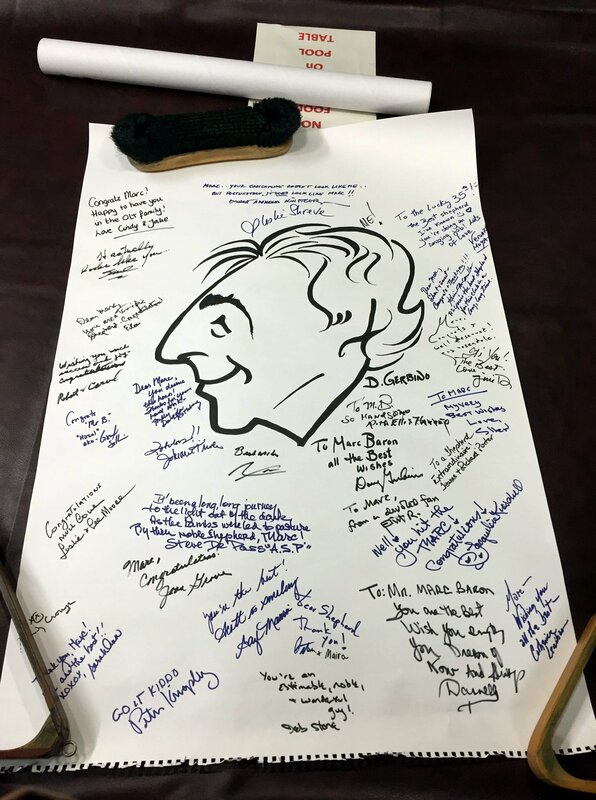 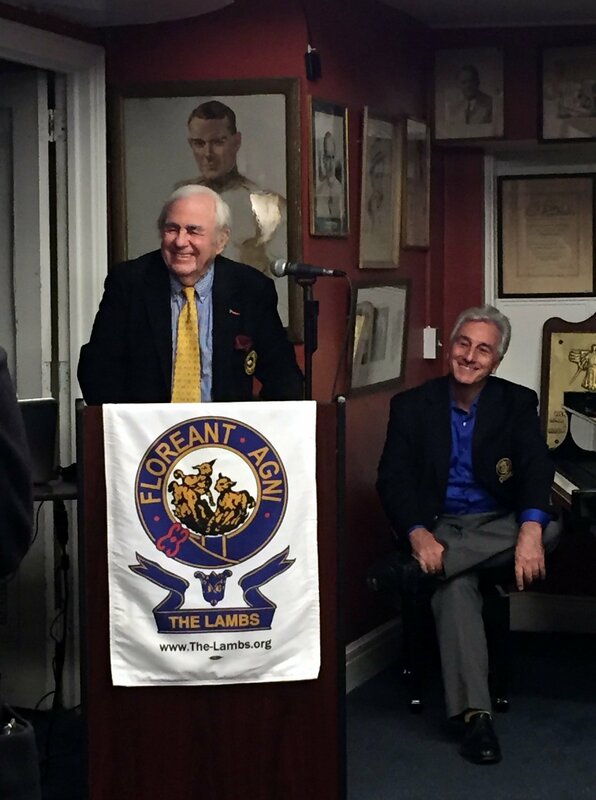 Lamb Doug Gerbino, a member of our Council, revived another Club tradition by creating a caricature of the Shepherd, which was signed by all in attendance. 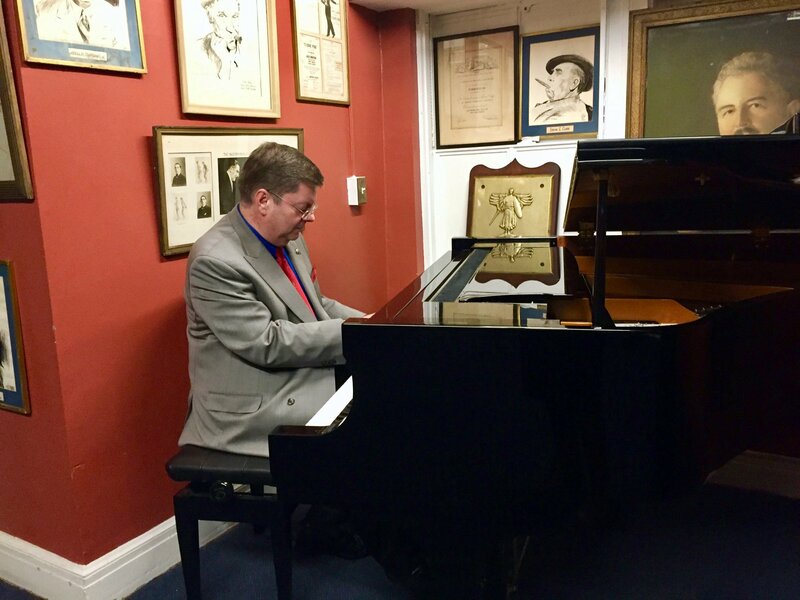 Then the multi-talented Gerbino took over the piano and kept the music playing. 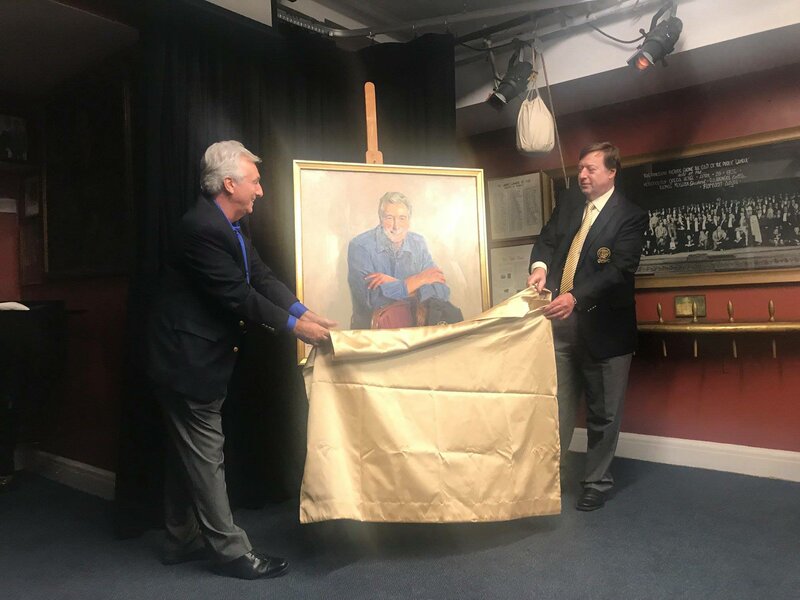 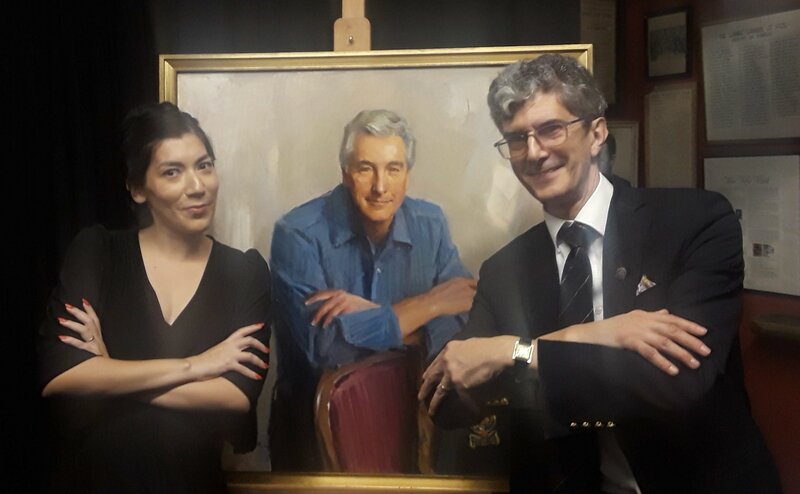 The portrait is the property of The Lambs Foundation and will hang in the pub while Shepherd Baron remains in office, only to be replaced by the portrait of the next Shepherd…after the next unveiling as the tradition continues!